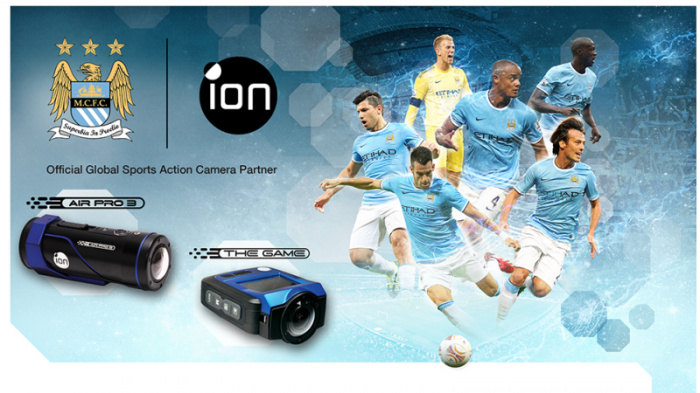 The news out of London today that Manchester City Football Club announced a new partnership with iON Cameras is an opportunity for the Premier League team to enhance the fan and youth player experience using sports technology products. The deal centers on the brand famous for their Shoot/Share™ Wi-Fi connectivity and point-of-view (POV) cameras, becoming City’s Official Global Sports Action Camera Partner. 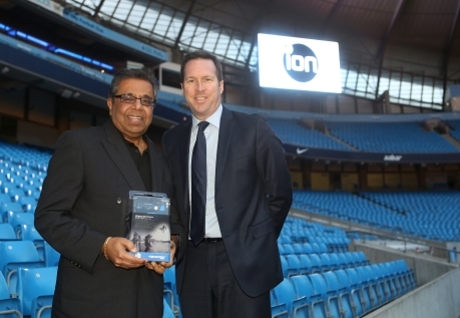 The Sports Techie community blog was able to speak with Giovanni Tomaselli, iON CEO, about this groundbreaking opportunity with MCFC at Etihad Stadium. We also discussed the iON “Power of Eight” push into other mainstream sports with new sport analytics tools that will integrate with their Shoot/Share WIFI allowing users to take action photos from anywhere, analyze the images and share the results with your social media network. 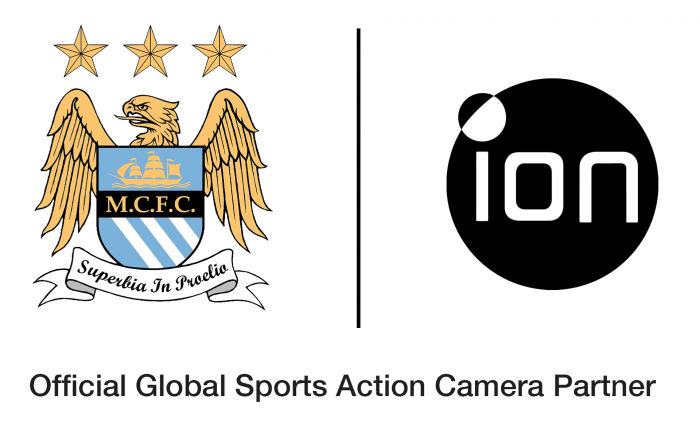 Over the length of the multi-year partnership, iON will provide City with their cutting edge cameras and state-of-the-art software, including the Air Pro 3 and the Game. iON’s cameras will also be a key tool in the Club’s performance analysis and coaching platform, that will help aid skills acquisition and technical performance amongst academy and first team players. Tricks and skills software powered by iON, will allow fans and budding players to upload their own football moves and compare themselves to City stars, such as Sergio Aguero, David Silva and Yaya Toure. Grass roots activity at one-off iON soccer clinics will integrate the products as an educational tool to help the development of future players. Combining their technology and exclusive first team access, iON will be able to capture unique behind-the-scenes training footage, bringing fans closer than ever to the team they love. “The nature of the innovative content will also be a big hit with our fans around the world, especially during our International pre-season tours, where the cameras will play a key role,” said Glick. In addition, iON cameras will also be used to enhance supporters’ match-day experience on and off the pitch, through the installation of iON fan booths in BT City Square, the Club’s purpose built fan entertainment zone. This Sunday’s Capital One Cup Final features Manchester City vs. Sunderland. Follow handle @MCFC and hashtag #CityToday for more info. Giovanni has lived in Asia for the past 30 years and has three kids. His 13-year old daughter was at the Dew Tour iON Mountain Championships in Breckenridge, Colorado and was part of the motocross filming and had a blast. His boys are 9 and 6 years old and love hanging out with whatever their Sports Techie Dad is involved with that day. This Sports Techie family loves to have fun together and they bring an iON camera like the new iON Air Pro 3 to prove it. Tomaselli spoke about changing the company image and product line so they are more mainstream American sports friendly. Their cameras already have acceptance with the extreme, action and adventure sport communities. Videos posted by iON customers all over the web showing happy wingsuit flyers, paraskiers and big wave surf athletes doing what they love to do best. Tomaselli felt that it was time for the same kind of product branding for sports like football, tennis and volleyball. Together with the respected MCFC organization and their Barclays Premier League star players, the soccer vertical is first. Tomaselli hopes to leverage their sports business relationship with MCFC into eventual wide spread use by the global soccer Industry. Now that PowerChalk will be integrated with iON Cameras, the company’s game changing image is nearing completion. PowerChalk has been acquired by iON camera. PowerChalk is the first and only web-based sports motion telestrator that lets you upload, markup and voice-over without installing high-priced, hard to use (and harder to configure) software. Already in use by Major League players and teams, PowerChalk is changing the face of sports instruction. They will continue to support other cameras and phones but with a stake in the parent company, PowerChalk will be able to impact the camera designs and camera firmware. This integration will produce the most seamless teaching solution in the industry. Tomaselli was equally excited to talk about acquiring PowerChalk and how their company is pushing into real-time feedback and analytics for sports. Look for iON the Game camera to have PowerChalk sports motion telestator features for sports instruction. The quicker you can analyze movement with a coach, trainer or by yourself, the easier it is for an athlete to make necessary mechanical corrections that improve muscle memory and performance. Using voice-overs, graphics and comparison videos will all eventually be part of the system. I asked about portable projector technology and Tomaselli said it was on his radar but not part of any immediate plans. The iON The Game wireless HD sports video camera comes loaded with a 2.4-inch LCD color screen, making it easy to shoot footage of golf putts or baseball swings, and then play back the video instantly for analysis. The camera captures video at 1080p with playback possible at 60, as well as 30, frames per second, allowing for more detailed, slow-motion analysis. The camera also takes still photos and time-lapse sequences, and its built-in Wi-Fi communicates with iON’s iOS and Android apps to allow users to stream video, change settings and upload their best game footage to Facebook and YouTube via their smartphones and tablets. The unique, angled mount-stand enables the iON The Game camera to be easily clamped onto nets, goal posts and fences or even perched on football field uprights. The optionally available Helmet & Bike Kit and Board Kit provide even more mounting options. The camera is waterproof at depths to 10 feet without any additional casing, making it useable to analyze swim strokes, as well as for capturing sports in virtually any weather conditions. If you use an iPhone, iPad or Android mobile device you can control your iON Air Pro via the Apple and Android App, available free for download from the App Store or Google Play Store. The iON Air Pro has simple start, stop and pause recording functionality, and the ability to transfer files from a SD card to your smartphone and share images for instant uploading of your Facebook and YouTube page. Upload photos and videos without connecting to a PC and store 8 GB free on the iON Cloud. Protect, share and stream your favorite media files from anywhere with iON Cloud, powered by MiMedia, the cloud backup leader. Enjoy access and stream your media on the go, share photos and videos and play your music from anywhere, automatic online backup and secure personal cloud storage. The iON business development team has an ongoing negotiating with Modell’s Sporting Goods. One idea they like is to create an inflatable batting cage loaded with cameras and software that can be used in minor league cities with local players as they interact with boys and girls who want expert instruction and visual feedback. Several weeks ago the FLW, the world’s, largest tournament-fishing organization, signed an exclusive, multi-year sponsorship deal with iON America. iON Worldwide is a wholly owned subsidiary of consumer electronic specialist, World Wide Licenses Ltd – owner of the iON trademark globally for digital imaging since 2001. WWL has been involved in the design, development, manufacturing and go to market of digital imaging products for leading brands worldwide. 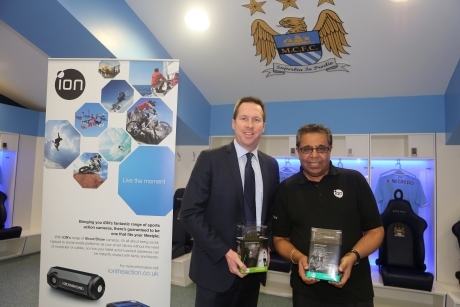 Sports Techie, The MCFC Youth League will benefit greatly by this new partnership. The kids and coaches in the program will soon have iON Cameras at their disposal helping to keep training uniform and consistent. Three cheers to Manchester City for understanding what your fans and young players want and delivering it together with iON. I love the fact that these cams are waterproof, especially living here in Seattle. Knowing your speed, altitude and other GPS related data will be extremely useful across the spectrum of popular sports in the United States and Canada. No doubt the rode for iON Cameras is an uphill battle because of one competitor, Go Pro. Going after the camera sports analysis niche in the U.S. is a wise business plan for iON since GoPro is not there yet. Having choices is the American free market way so before you purchase an action or sports cam, be sure to look at iON. Players of MCFC, youth teams and fans, let us know below as a comment or at one our social media network links how iON works for you.